One of the newest members of the Perfect Smile family, Maple House, offers treatment for your whole family. 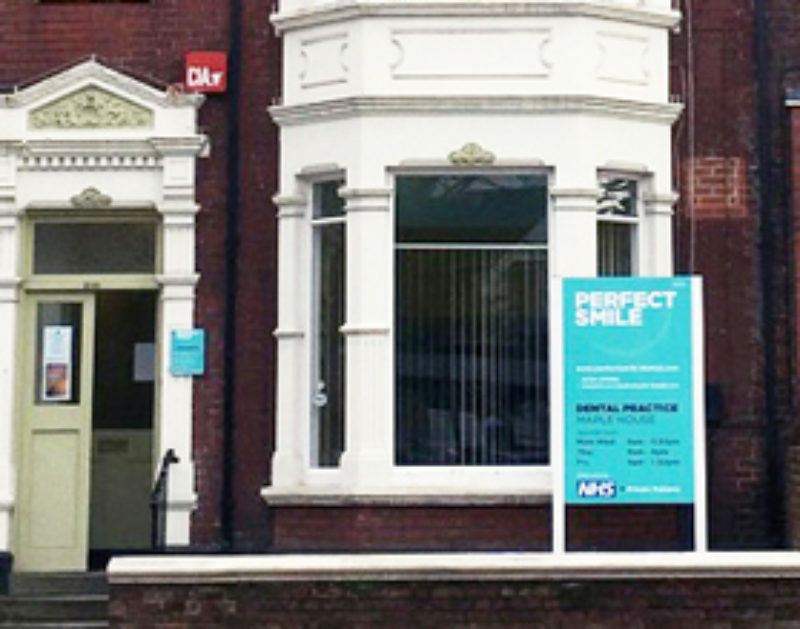 We pride ourselves in being a long established family friendly NHS practice. We offer Denplan to patients who like the reassurance of a monthly payment scheme and therefore no surprise dental bills. We have a friendly team of hygienists dedicated to looking after your oral hygiene (direct access appointments available). A full range of private and cosmetic treatment is available including whitening and airflow. We have a visiting implantologist who offers free consultations to both registered and unregistered patients. An NHS practice which offers excellent care, and patients can choose some elements of private care if they wish. Louise is my dentist, she is very pleasant, understanding, and approachable. Her dentistry is excellent, I feel confident with Louise as my dentist. I am not as nervous as I was previously. Approachable and supportive in my experience this year as I’ve had a lot of visits relating to an accident and teeth & root damage. I have always received a very good friendly service, I have had the need for a few emergency appointments in the past and have always been fitted in. My appointments are usually running on time. Professional knowledgeable care by all staff. The best hygienist I have ever met and with my gums I’ve met plenty.